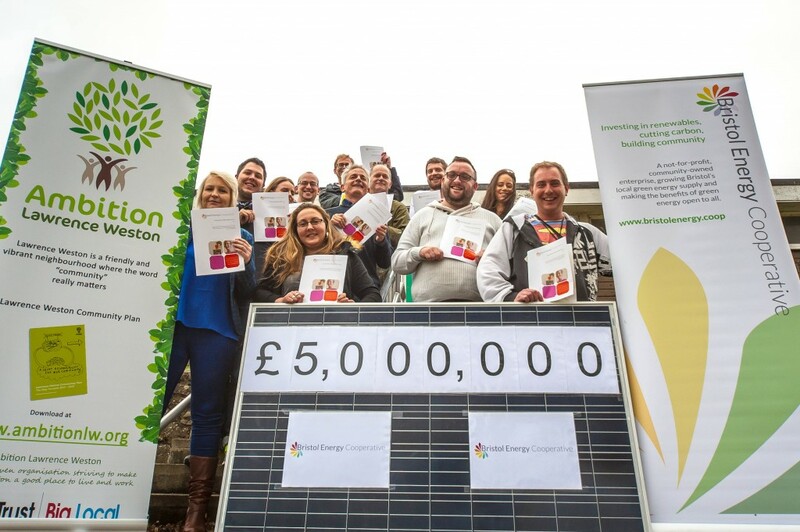 Bristol Energy Cooperative has launched a £5m fundraising campaign for its largest portfolio of solar projects so far. The projects will include two community solar farms and installations on 20 more community building across the Bristol city-region. The co-op has used the money raised in its previous share offers to install solar panels on six community buildings in the city, including Easton Community Centre, Hamilton House and Knowle West Media Centre. The building users benefit from subsidised clean energy while investors receive a good annual return on their investment – this year it was 5%. Now the co‐op is raising its level of ambition with the its latest scheme – the minimum investment in which is just £50. Community buildings lined up for solar installations this time round include Brentry Children’s Centre, the SOFA project and Hartcliffe Community Farm. Meanwhile, the two solar farms will together provide enough electricity to power almost 2,300 homes. One farm is in Puriton, near Bridgwater. The other is on land owned by Bristol City Council in Lawrence Weston between the M5 and M49 motorways. The plans have been announced as its third solar share offer got off to a flying start with £100,000 raised in just over a week. The co-op is asking local people to join their community and help raise funds for the scheme, which will deliver significant, long‐term benefits for communities across the city. As Bristol’s year as European Green Capital draws to a close, the co-op hopes its share offer will create a lasting legacy that thousands across the region can be part of. Investors need to move quickly as the first phase of its share offer closes on November 23. The community in Lawrence Weston will benefit from the community fund as one of the solar farms is in that area. Development manager at Ambition Lawrence Weston, Mark Pepper, said: “The word community really matters to us in Lawrence Weston, and that’s why we’re pleased to welcome this community‐owned energy project and the opportunities that Bristol Energy Cooperative’s planned solar farm will give our residents in the long‐term. Investors in the co-op have so far enjoyed an annual return on their investment of 4%, which this year rose to 5%. Taxpayer investors have also been able to claim tax relief on their investment.